One area where the emphasis on cost reductions doesn’t seem to apply with quite such rigour is in the proposed refurbishment of the Houses of Parliament. In September, the restoration and renewal committee announced that MPs and peers should abandon the crumbling Houses of Parliament for six years so that a complete refit costing up to £4 billion could be carried out, including rewiring, repairing and updating many of the building’s facilities. 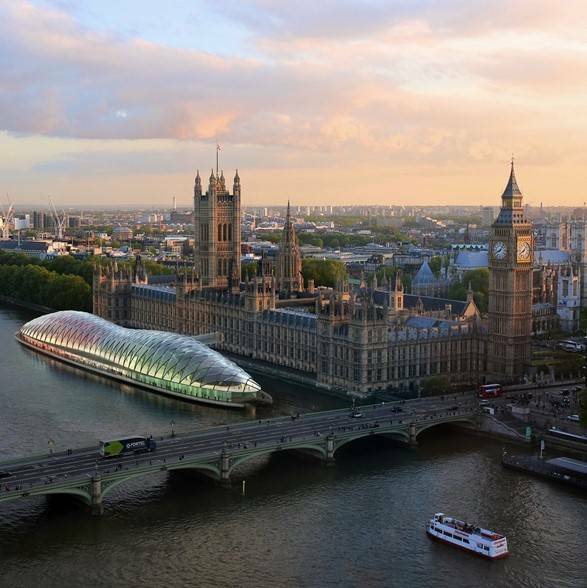 This week Gensler proposed that during the refit, MPs and their staff should decamp to a floating building moored next to the Houses of Parliament. 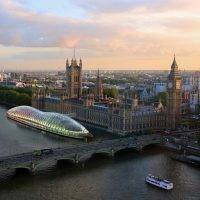 It proposes that the £160 million, 8,600 square metre structure would be made out of steel platforms and a wooden frame with a design inspired by the hammer-beam roof of Westminster Hall. Construction of ‘Project Poseidon’, already redubbed The Westminster Bubble, could take around three years and carried out at shipyards around the UK. Gensler proposes that the structure could then be relocated and used for another purpose, either as a Museum or even as the chamber of an overseas democracy.